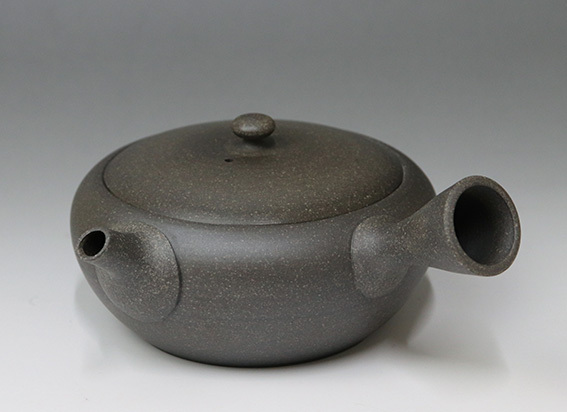 A beautifully crafted flat kyusu with a precisely fitted lid and minutely adjusted spout which is slightly angled inwards for maximum performance.Rihi (pearskin) gives the impression of a grainy surface, but it is actually very nice and smooth to the touch. 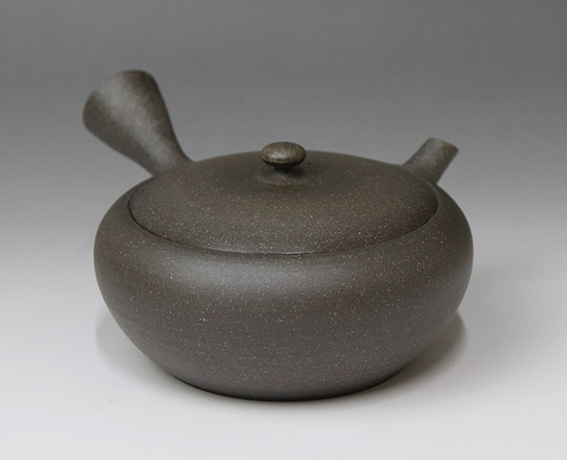 Mizuno Hiroshi blends his own original clay in a process taking up to six months. 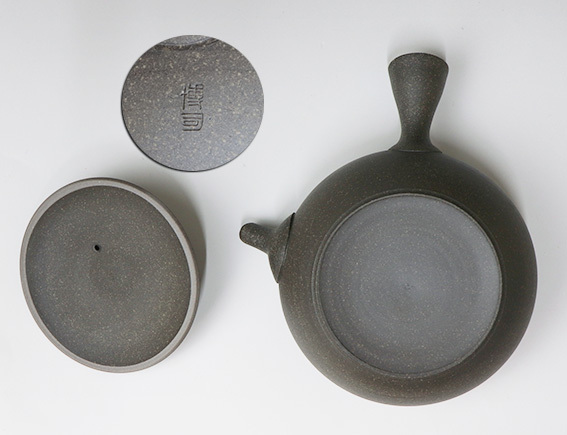 He also pays special attention to producing the perfect ceramic filter, crafting each one individually to fit a particular teapot. 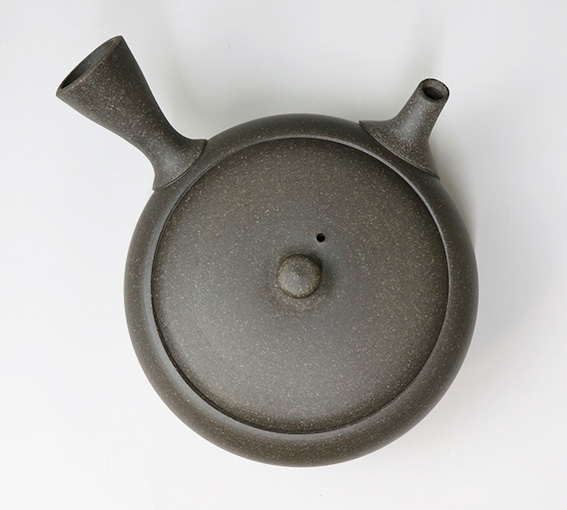 Hiroshi learned his craft from Yamada Jozan III, a National Living Treasure. 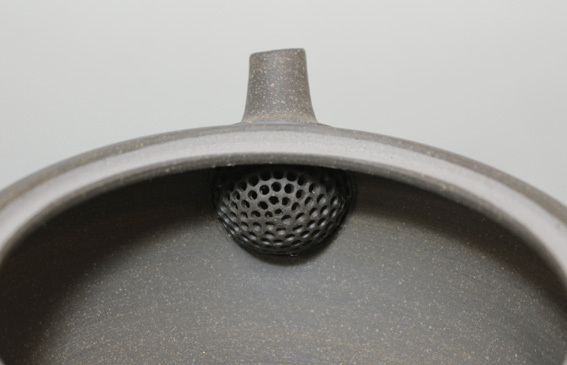 Built-in handcrafted ceramic mesh filter.